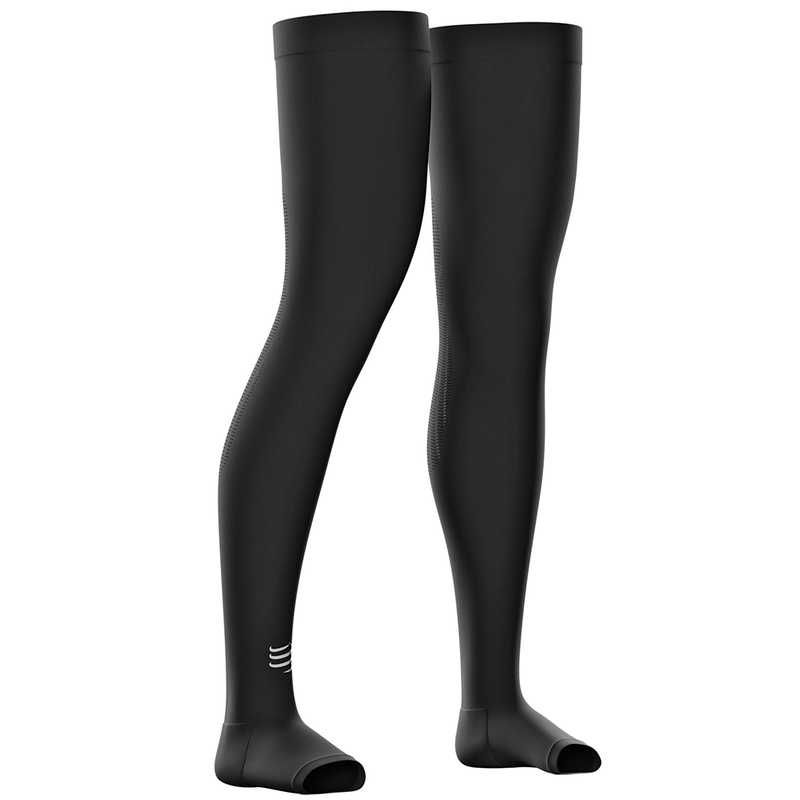 In the TOTAL FULL LEG, compression and very soft fibres work to apply precise compression, stimulating blood circulation around the arch of the foot. Feet, thighs, knees, and calves don’t get swollen and after exercise, you can wear your ï¬‚ip-ï¬‚ops. Ventilation stripes at the back of the knee eliminate discomfort and pressure for fast recovery. The top silicone band keeps your thighs snugly fitted.